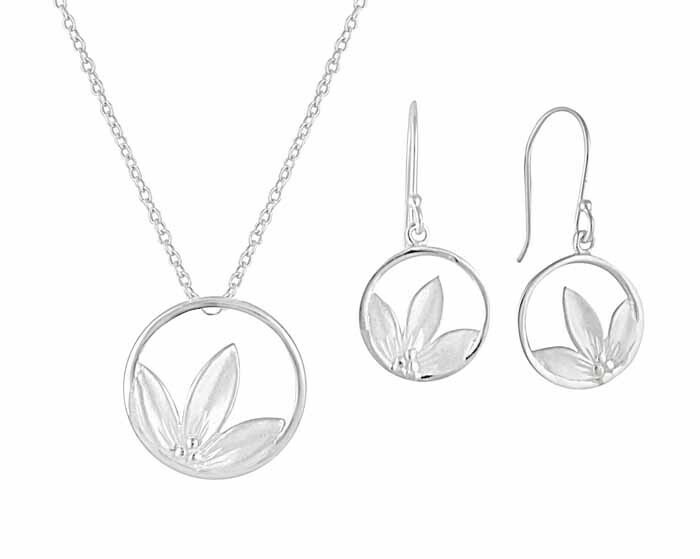 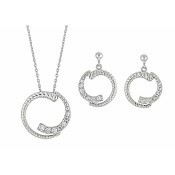 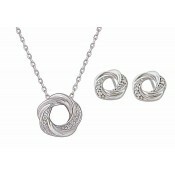 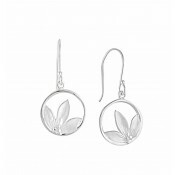 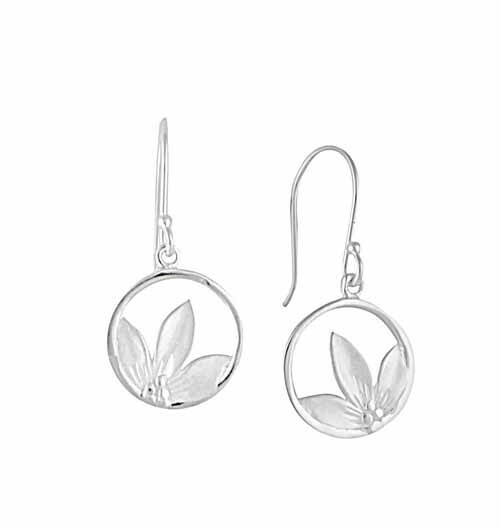 A contemporary display of nature, this jewellery set features a pendant necklace and drop earrings. 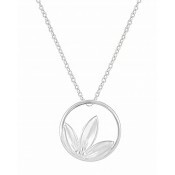 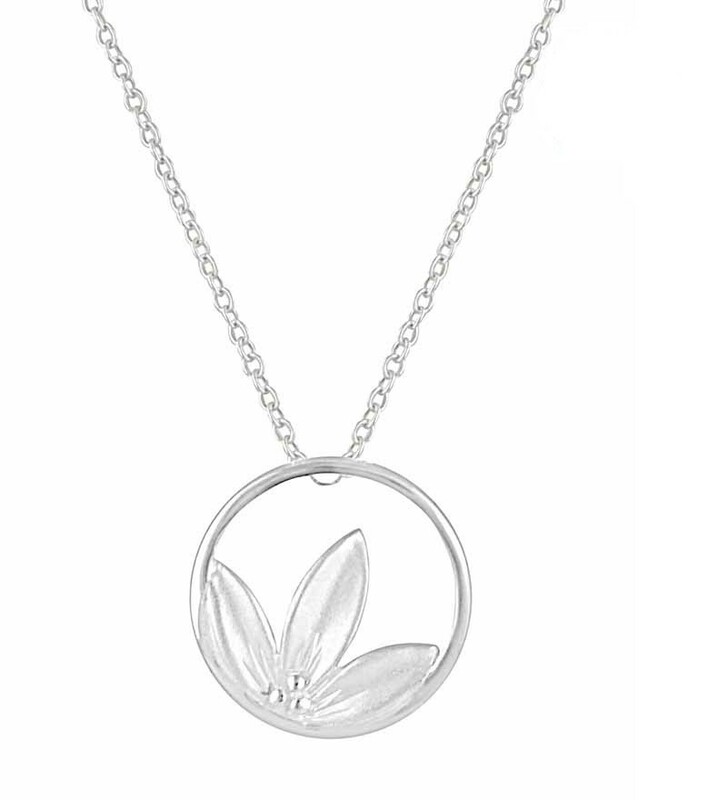 Each piece has an open circle within which sits the elegant petals of a flower. 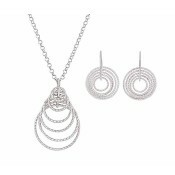 Their beautifully simple design adds detail to any outfit while promising to charm that special lady, should you choose to present them as a gift.